We recently covered how India Baja 2017 is a ‘Positive Bouleversement‘ for Indian Motorsports. Thanks to Northern Motorsports the intriguing rally with abominable regulations and safety standards was flagged off last week from Jaisalmer. Joaquim Rodrigues of Hero Motosport, won the moto segment of the India Baja 2017, but the rally saw Indian biker KP Aravind of TVS Racing finish second, while Abdul Wahid Tanveer finished third. Now for the record, the winner gets direct entry to Dakar Rally and The Merzouga Rally in Morocco. 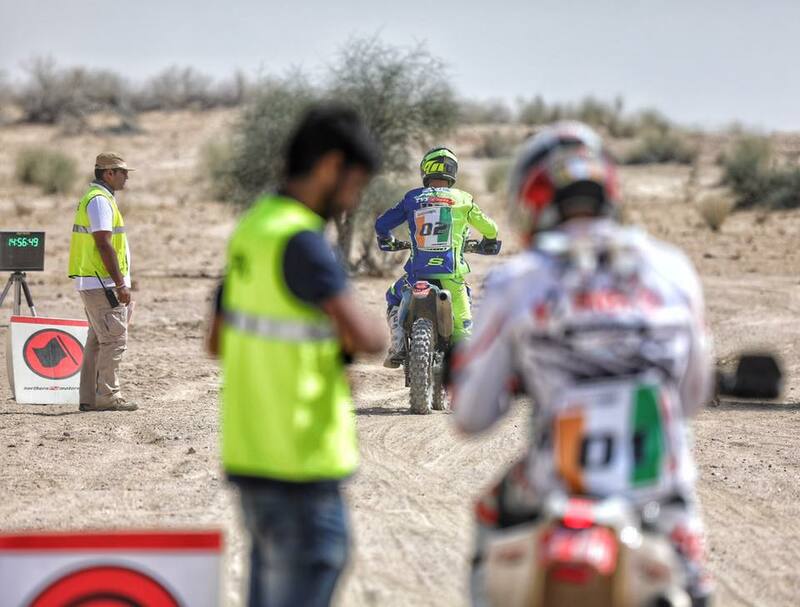 Despite finishing third, Abdul Wahid Tanveer qualifies for the Dakar Rally and The Merzouga Rally in Morocco. 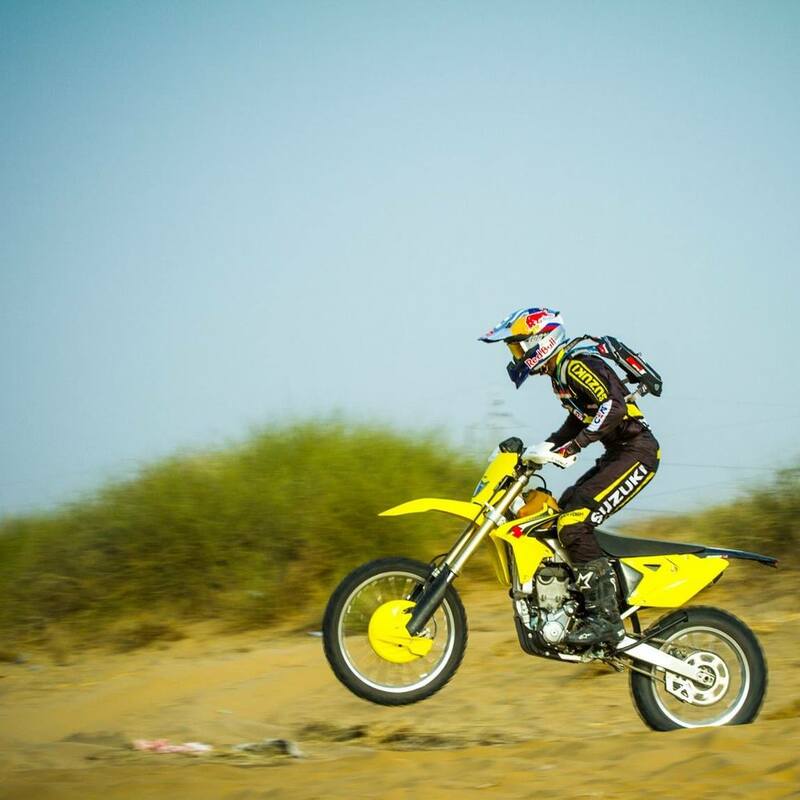 As Joaquim Rodrigues and KP Aravind have already competed in the Dakar Rally, Abdul Wahid gets the entry. Joaquim Rodrigues finished first with an impressive timing of 04:45:22 2 hours. Followed by Aravind K.P. – 05:10:46 3 and Abdul Tanveer clocked impressive 05:25:44 hours to finish as the second runner-up. On the other hand, the Xtreme category saw some splendid driving and Gaurav Chirpal walked off as the winner with a superlative overall time of 6:22:22 hours in his modified Suzuki Vitara assisted by Karan Arya. Next in order with a difference of five minutes came Raj Singh Rathore assisted by Jeevarathinam J in the Isuzu V-Cross (6:27:49) followed by the 1.3-litre Maruti Gypsy driven by Himanshu Arora assisted by Chira Thakur at 7:07:17 hours. Abdul Wahid Tanveer will be supported by TVS Racing in both Dakar and Merzouga rally. We would like to bring to everyone’s notice it is not easy to enter Dakar rally considering the resources required for the same. On the other hand, Gaurav Chirpal gets direct entry to MS Desert Storm which takes place next year.